Posted: June 18, 2015 in Features, Who,What,Where & When...? The year was 1997 and three full days at FoS action was on the agenda. That year was the 5th running of the ‘must see at least once’ event – originally established as a one day event at Lord Charles March’s humble abode on June 20, 1993. 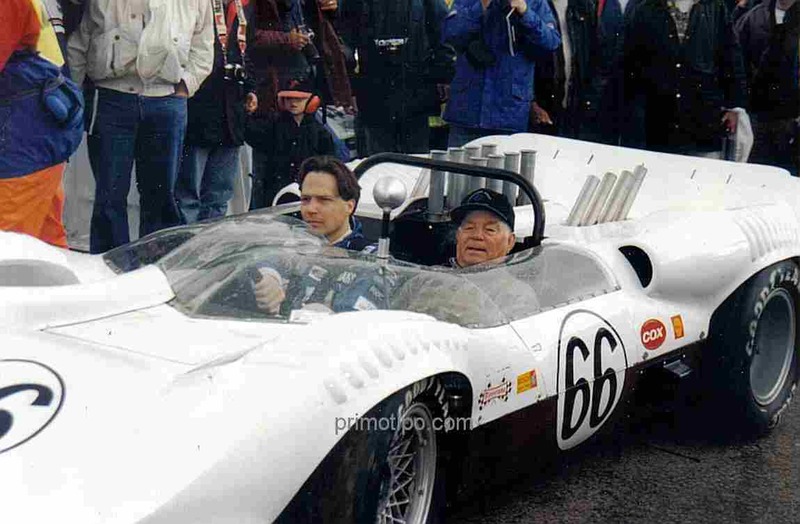 Essentially as a method to generate some income for the upkeep of his Goodwood Estate, while including the enthusiasm he shares with his late grandfather, Freddie March for the motor vehicle. Perhaps one shouldn’t have been surprised, given it was under British skies, that 1997 happened to be the first year rain actually intervened with the event. 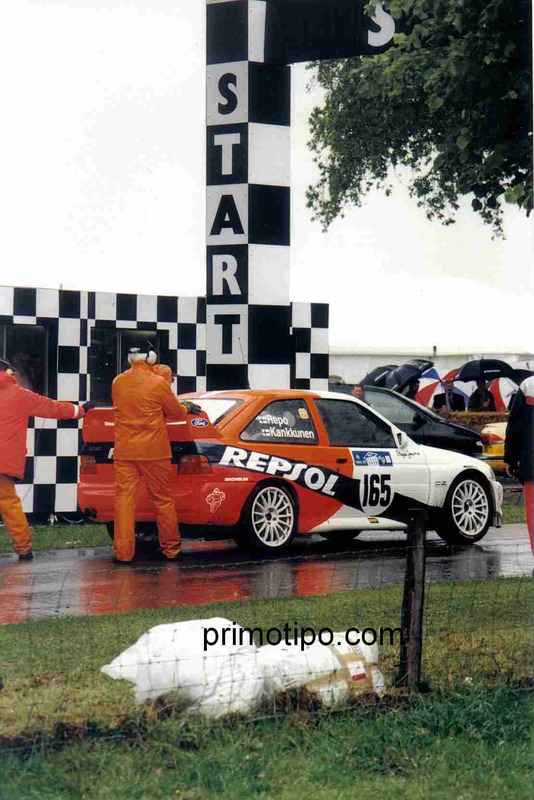 The rally stars such as Juha Kankkunen, Michele Mouton & Tony Pond were in their element in those conditions. Although gumboots, or ‘Wellies’ (as our Chichester friends would prefer us Aussies call them), aided by a Massey Ferguson should have been the quintessential accessories in the outfields. But the show must go on… and so it did. Quattro of a different kind…part of Audi’s 1930’s heritage. 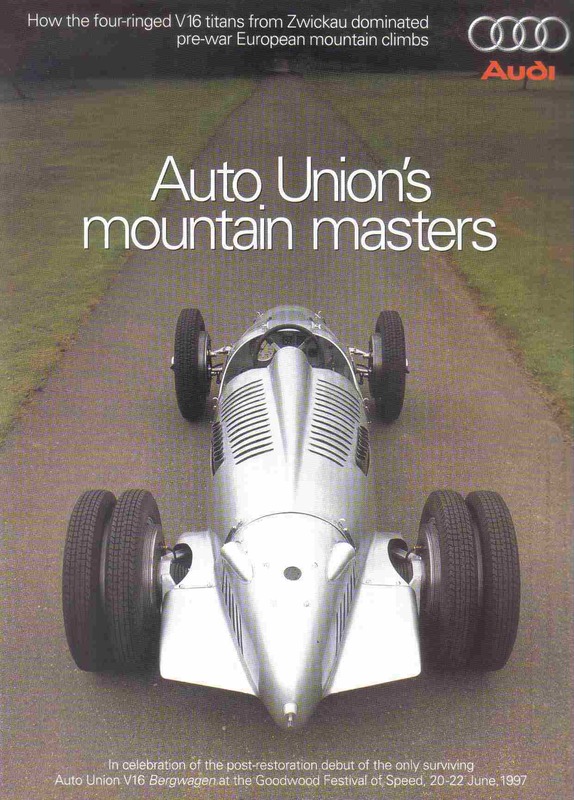 As would be expected of a manufacturer like Audi they produced a special press pack just for the unveiling of the restored Auto Union V16. This forms part of it. The prime of motoring’s manufacturers were ready to exhibit their wares in both static and competition or demonstration-mode to highlight their presence to the mass of Goodwood-bound enthusiasts and glitterati alike – arriving from both spheres of the globe. Audi brought along their newly restored Auto Union V16 Mountain climb car for Hans Stuck to run up the Goodwood drive. Not quite mountain climbing, but a sight and sound to behold. Arch rival, Mercedes Benz brought along their 1955 Mille Miglia winning 300SLR for Stirling Moss to drive in memory of the then recently departed Moss MM co-driver and motoring journalist, Denis Jenkinson. 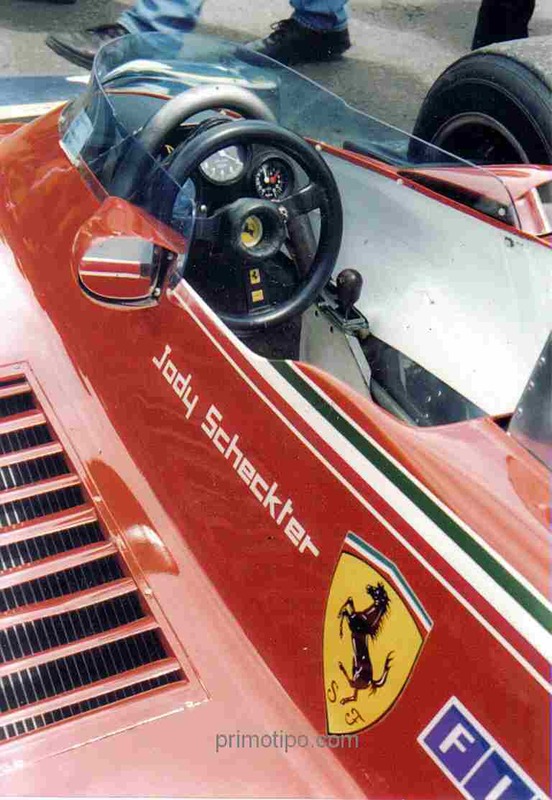 Arguably standout that year was the fiery red Italian, Ferrari marque. Certainly so, based on their presence at the event marked with the massive statue created in front of Goodwood House – celebrating their 50 years of Maranello motoring couture with a V12 orchestra under the bonnet. Ably backed with many examples baring the scarlet tone and prancing horse insignia, with past & then present drivers’ from the Scuderia invited along to accompany the celebration. 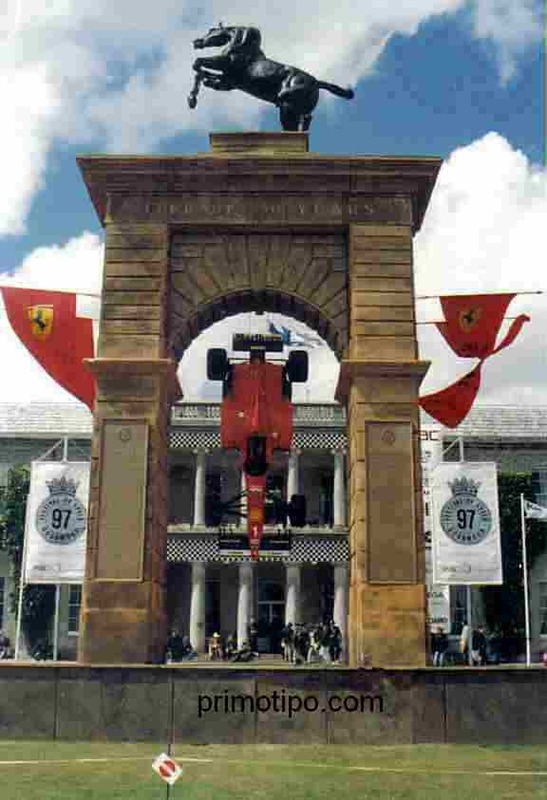 One way to hook an F1 Ferrari… worshipping the scarlet red Italian marque, Goodwood-style. The even more imposing Goodwood House is behind. If that wasn’t enough to ignite the flame then perhaps the presence of Jim Hall’s Chaparrals, various Lotus F1 & Indy car’s, Pink Floyd drummer, Nick Mason’s BRM V16, Wheatcroft & Collier collection’s Vanwalls, or numerous Shelby Cobra, et al flowing through the grounds to be enjoyed, would. Period attired Tony Brooks awaits in the Wheatcroft Vanwall ‘VW9’ for Stirling Moss’ arrival to jump aboard the Collier Vanwall ‘VW5/11’ so they could both do a demonstration run together. 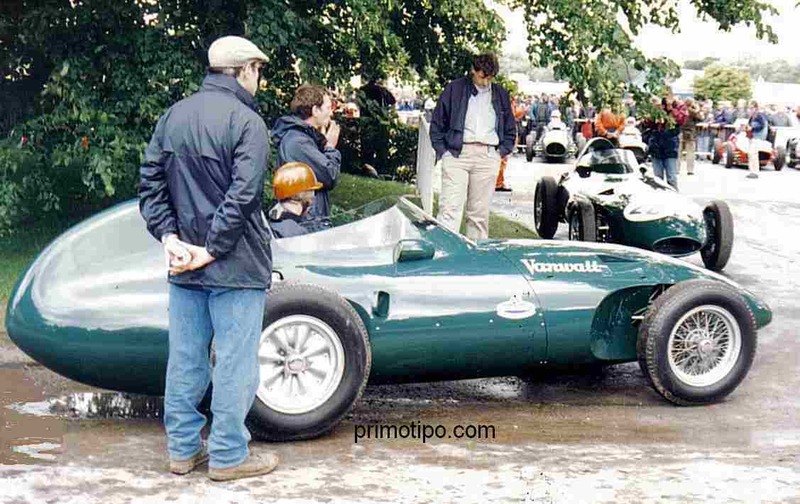 The Vanwall’s of course testament to engine bearing magnate, Tony Vandervell’s efforts after his frustrated support during the early days of the supremely complicated BRM V16 project. Another option was to give the cheque book a work out by making your way to the BROOKS marquee and put your hand up or nod obligingly at the auctioneer in an attempt to procure various vintage or classic sports, or racing cars. Amongst the many offerings was the ex Graham Hill/Arnold Glass BRM P48 and original Mini designer, Alec Issigonis’ ‘Lightweight special’. Then again if the budget didn’t stretch that far, various memorabilia or even fashion traders would happily liberate multiples of pound notes from you. The memorabilia traders’ certainly worked their magic on me. Brooks Auctions (now Bonham’s) sold the ‘Lightweight Special’ originally built in the late 1930’s by 1959 Mini designer, Alec Issigonis and his friend, George Dowson. 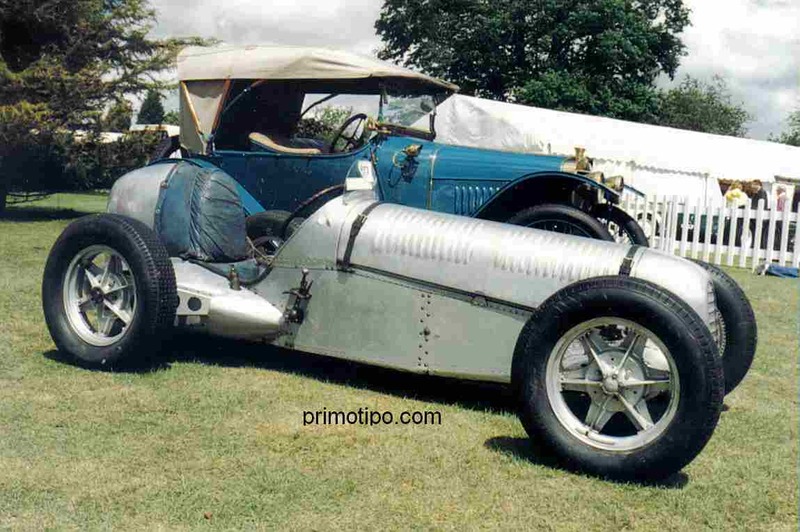 Both drove it in Hillclimb’s and ¼ mile Speed Trials at the likes of Prescott and Brighton. That’s how ‘Issi’ met John Cooper! 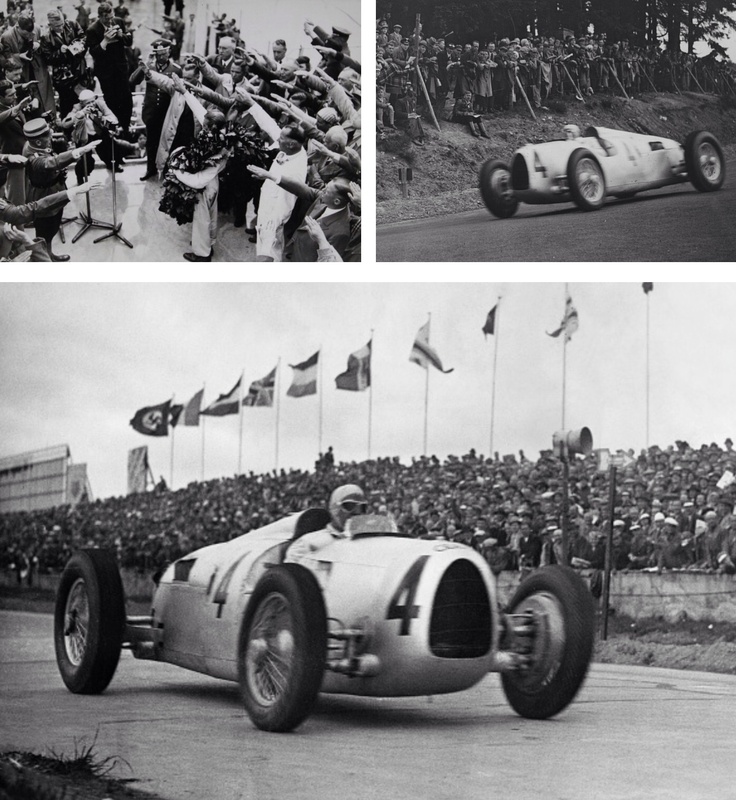 When built the ‘Lightweight’ was advanced with its monocoque construction, rubber suspension and cast wheels. The Heritage Museum at Gaydon in the UK’s midland’s tried to acquire the car to add to its other Issigonis artefacts, but strong bidding knocked them out and it stayed in private hands – selling for around £40,000 at Goodwood. 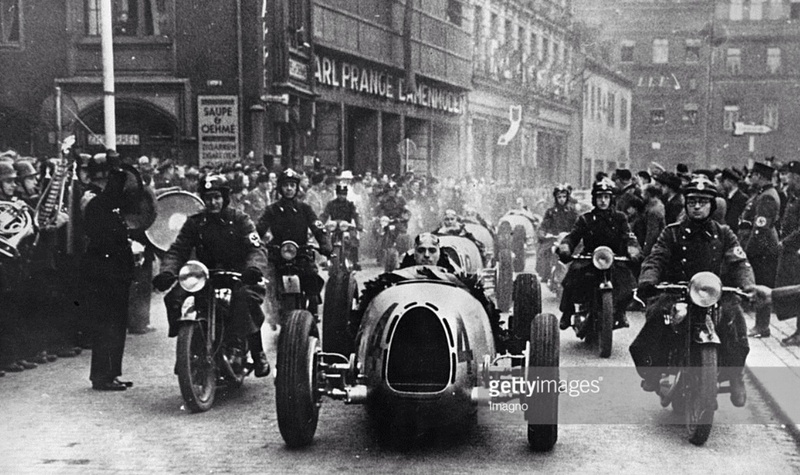 It was soon back into hillclimbing, but damaged quite soon after. The necessary repairs to the bodywork, meaning it lost some of its long established patina. Given the prevailing moist atmosphere for 2 of the 3 day event, the smart move would have been to stay out of the weather and procure a grandstand seat while enjoying the sights, sounds and smells of motor sport’s past and then current, rally cars, sports cars, F1 or motor cycles as they motored by. Often driven or ridden by someone famous. Some on a mission to set a Hill record, others purely as a demonstration run. Uniquely placed in motor sport’s history is John Surtees – championships on motorcycles and cars. 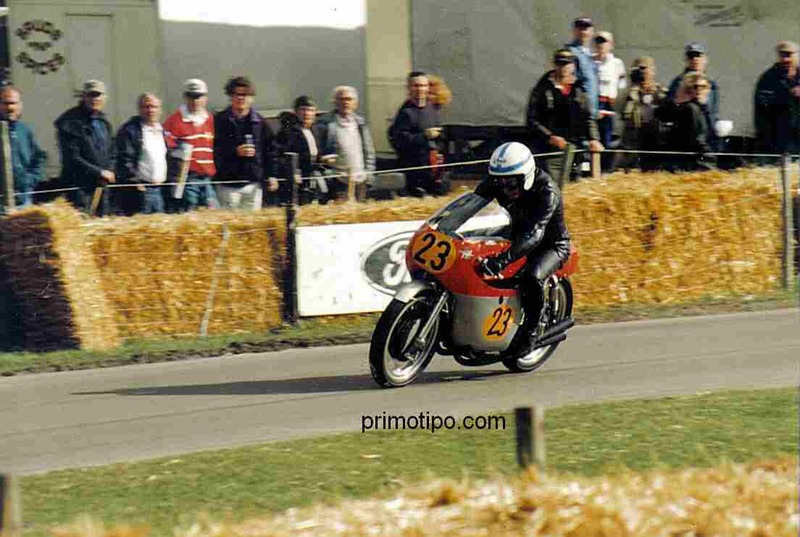 Seen here riding his 1960 MV Agusta 500. What made Goodwood special for me though was the ability to just amble around and find something to enjoy. The paddock was a special place to get up close and view, not only the very special racing cars present, but many drivers or riders. 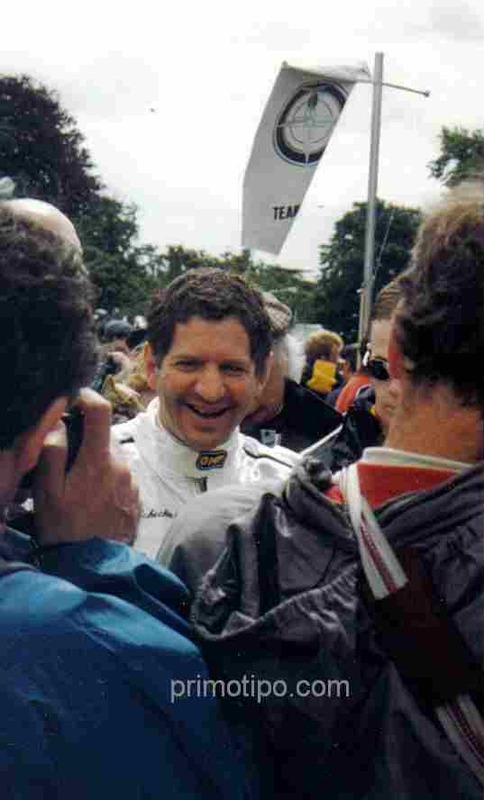 Several who carried world titles within their sport and happy to oblige an autograph or 3. For me, a copy of the Doug Nye’s ‘Cooper Cars’ book garnering notable autographs from those who took part in racing Coopers during period on track battles. Reflecting back after 18 years, several of those present that weekend are no longer with us. 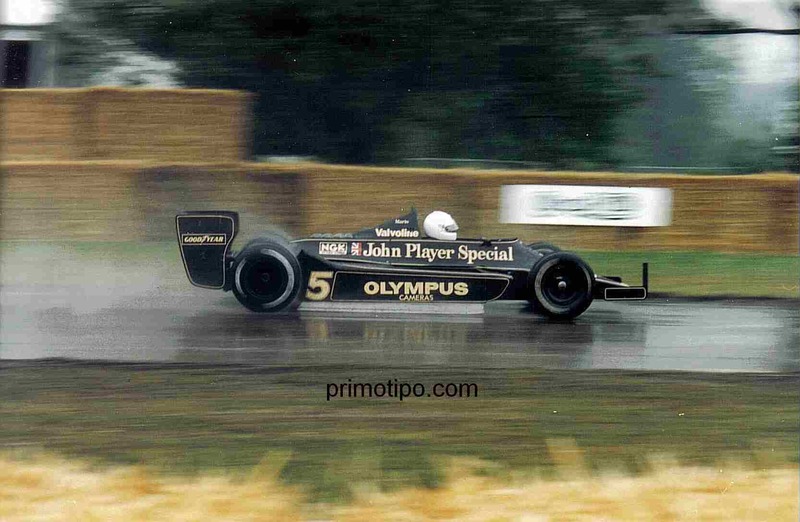 However fond memories of a visit to Goodwood Festival of Speed will remain. For what was even in the event’s early years’ an overwhelming 3 days hard to take it all in… but worth giving a damn good crack. Only Barry could get away wearing his baseball cap backwards at Goodwood… After hearing Barry Sheene on Australian TV commentary for ATCC/V8 Taxis, some wags might say “What’s he doing trying to read!” Well I witnessed the relaxed Mr Sheene sitting atop this BMW in the pits, when clearly an enthusiast of his approached for an autograph of a Sheene book he had brought along. 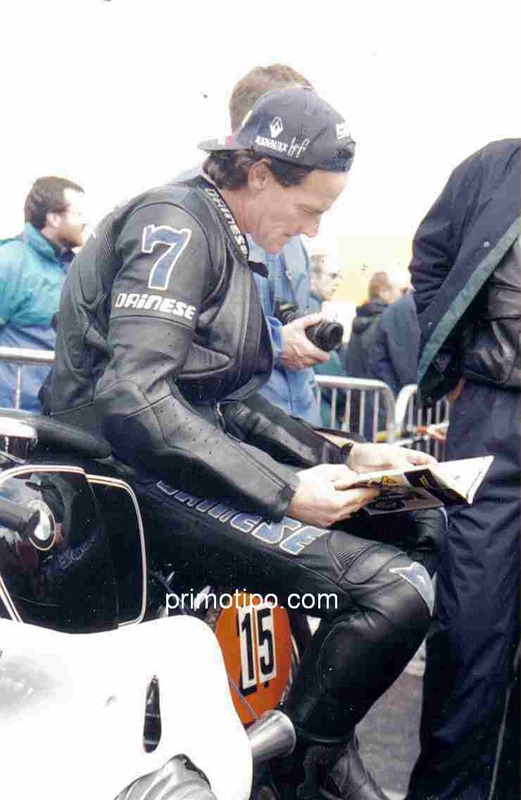 What quickly transpired was that while Barry was out winning races and busting bones on racing motorcycles, before disappearing to the warmer climates of Australia to live afterwards, he clearly was not aware of this book about himself! Flicking through it and scanning its pages as I managed to snap this photo. Despite Enzo not wanting to join the late 1950’s F1 GP rear engine revolution, Phil Hill won his 1961 F1 Championship in the ‘sharknose’ Ferrari 156 with the V6 engine behind the driver. 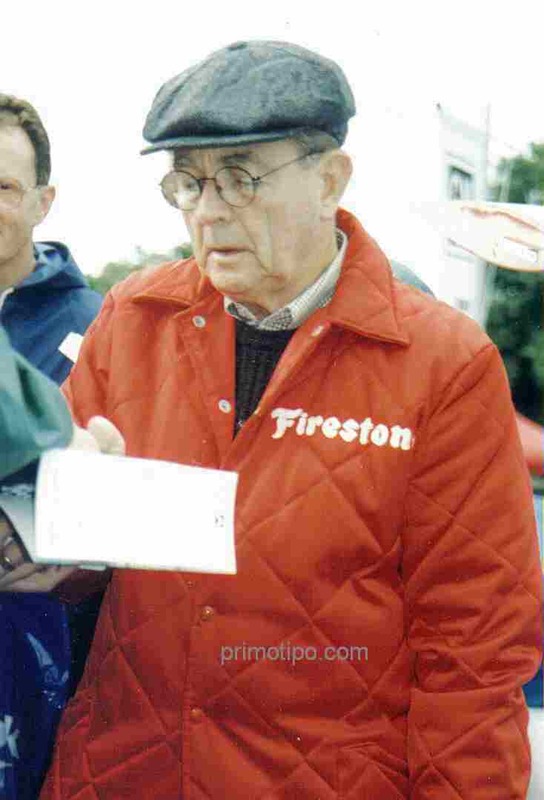 So not only was Phil the first USA citizen to win F1’s highest accolade, he also goes down in history as the first Ferrari rear engine era Champion. 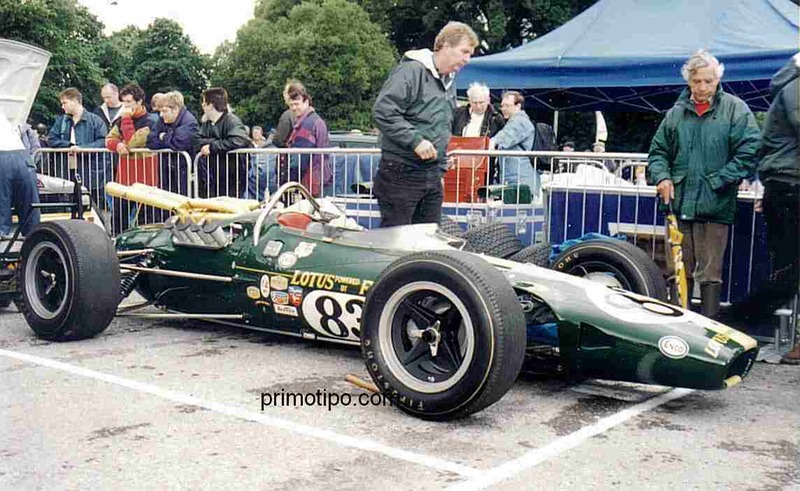 Not Jimmy Clark’s 1965 Indy 500 winner, but the sister Bobby Johns Team Lotus entry. 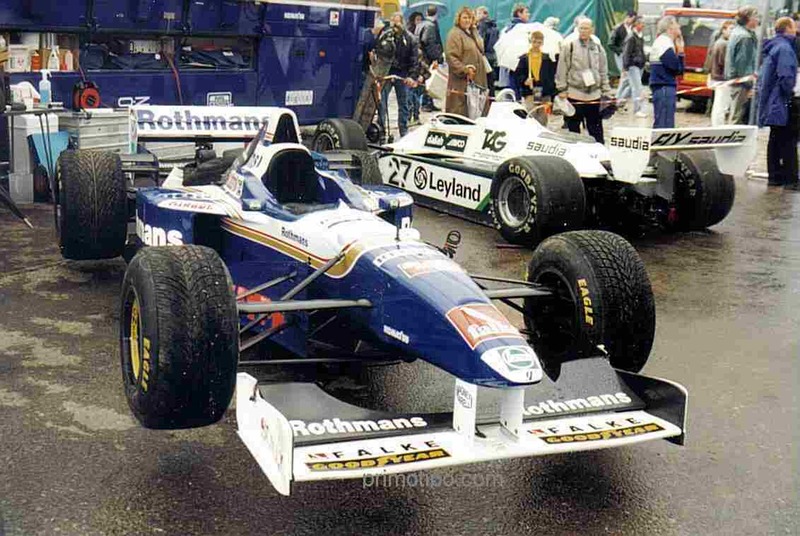 Even in 1997 you would have struggled to get this close to Williams GP Engineering at an F1 event. One of the FW18’s used by Damon Hill in his successful 1996 season and the FW07B used successfully by Alan Jones in 1980 – both clinching World Drivers’ & Constructors’ Titles.